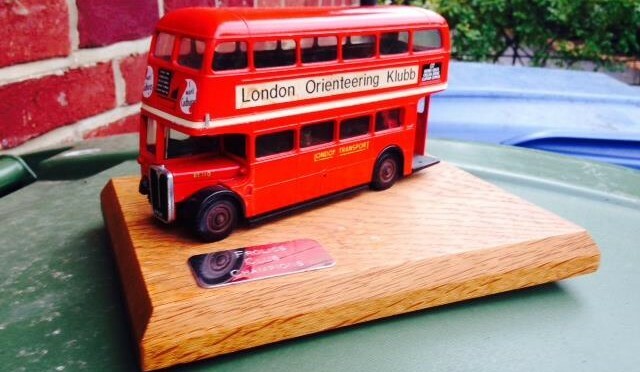 Team SLOW have won the Greater London Orienteering Summer Series (GLOSS) for 2015, and were presented with the “London Bus” trophy at the final race in the series last Sunday in Morden Park. SLOW were top-scoring club at four of the five events that took places in June/July this year. More information about this year’s series. Photos: Paul Couldridge (SLOW) and Peter Martin (MV). Top photo: The trophy. 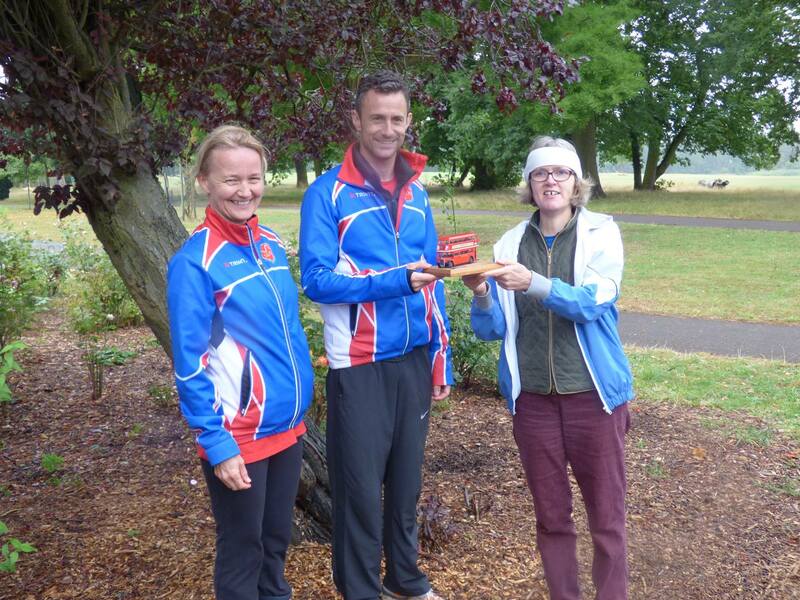 Bottom photo: Dorte and Paul are presented with the trophy.